Nottingham Forest striker Dexter Blackstock is close to signing a new contract and the Reds are also chasing Millwall forward Darius Henderson. 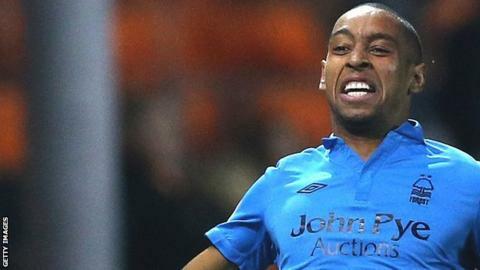 Blackstock's deal runs out at the end of the season, but the 26-year-old is set to agree a new long-term contact. And Forest are also closing in on a deal for 31-year-old forward Henderson. Forest boss Alex McLeish told BBC Radio Nottingham: "We're trying to get him to join our other three strikers and help them to get us into the play-offs." Henderson has scored seven goals in 22 games for the Lions this season.